You know how sometimes you just need to become a tourist in your own hometown in order to truly appreciate all the wonderful places to go and things to do? Although the Milwaukee Art Museum is my permanent home, I recently decided to spend the day like I was visiting for the very first time. 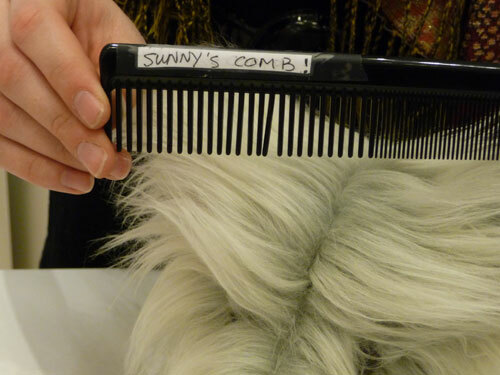 …With my own comb that the Store keeps just for me! Here is a photo of me with my cousin “Shady” before his grooming appointment. Serious bed-head! Feeling refreshed and eager for my day sniffing around the Museum Collection, I headed next to Windhover Hall to pick up my admission sticker from Gretchen and Michelle. They were so nice and suggested lots of art for me to see and fun things to do at the Museum. 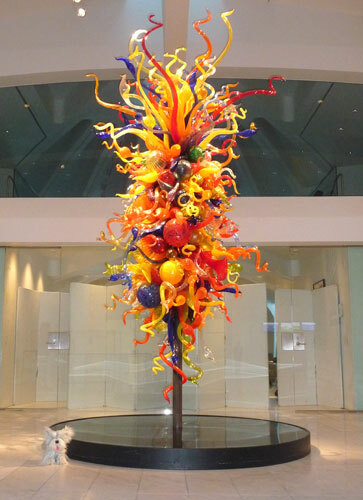 Sunny and Dale Chihuly, Isola di San Giacomo in Palude Chandelier II, 2000. Blown glass. Milwaukee Art Museum, gift of Suzy B. Ettinger in memory of Sanford J. Ettinger. On my way into the art galleries, I paused for a photo in front of Dale Chihuly’s colorful glass sculpture (a must-have for any scrapbook!). 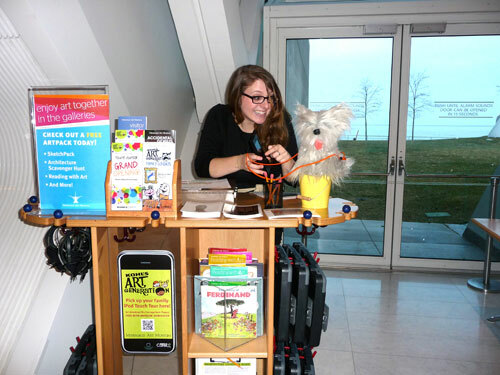 I wanted to make the most of my “visit,” so I stopped by the Kohl’s Art Generation ArtPack Cart to pick up a free iPod Touch Tour for kids from Jenni (you can also download it from the iTunes Store!). She showed me how it works and told me about all the other art activities I could do, like a Sketchpack or a Scavenger Hunt. 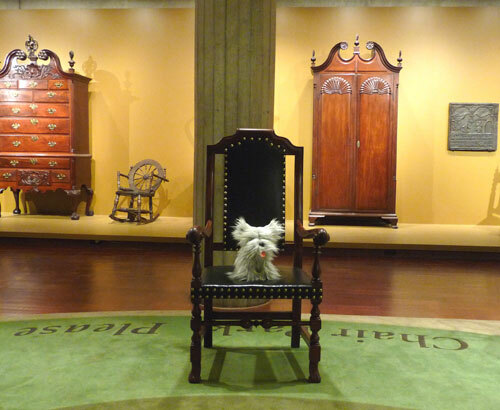 Every time I tour the Museum I love to “Sit! Stay!” in the Chair Park on the Lower Level. Which chair out of the circle do you like the best? 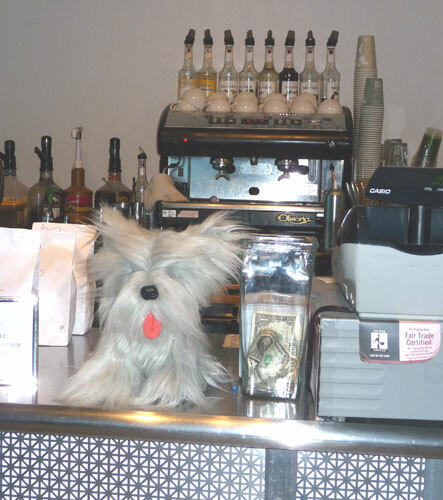 After visiting a few galleries, I decided it was time for a snack from Coffee With a Conscience. Their spice cookies are the best! One more level to go! 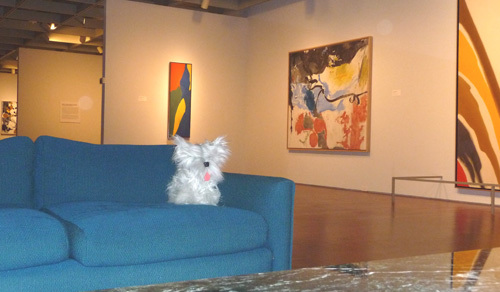 I took the stairs the whole way to the Upper Level—when I got there, I knew it was time to relax on Peg Bradley’s couch for a little bit while I enjoyed the collection of art she gave to the Museum. 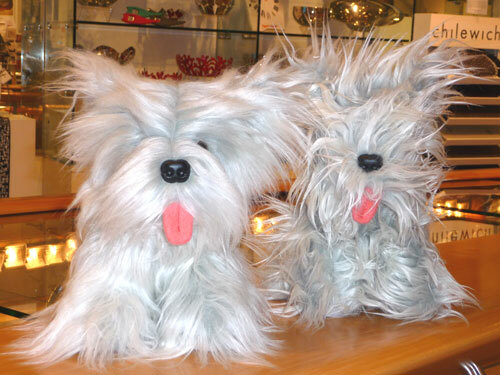 Will the real Sunny please stand up? Alex Katz, Sunny #4, 1971. Oil on canvas. Gift of Mrs. Harry Lynde Bradley. 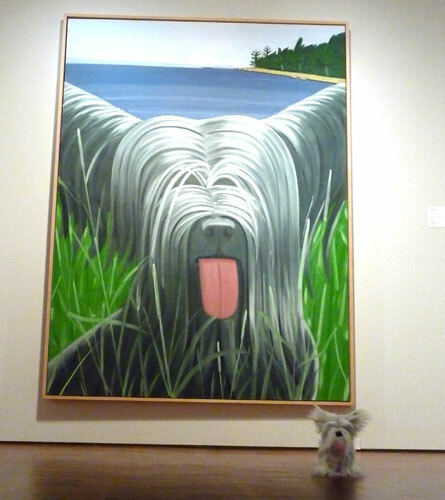 © Alex Katz/Licensed by VAGA, New York, NY. I had to save the best for last. Can you guess which painting is my all-time favorite? Now, that’s a good-looking dog! The Grand Opening of the Kohl’s Education Center is Saturday, February 25, 2012, and I hope to see you there! We’ll explore what happens behind the scenes here at the Museum, and learn about how some of our favorite movies are made. 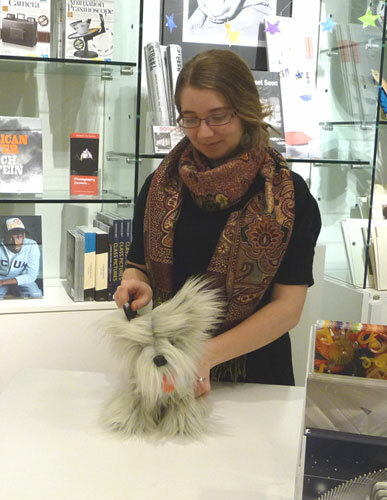 Plus, I am in the Kohl’s Art Generation Studio every Sunday—come make some art with me! 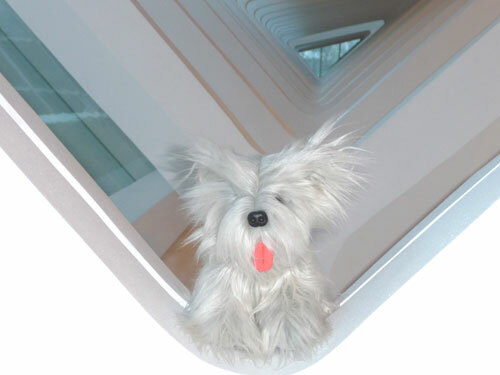 Editor’s Note: A big thank you to Donele Pettit, who accompanied Sunny on his Museum visit and took all of his glamour shots! 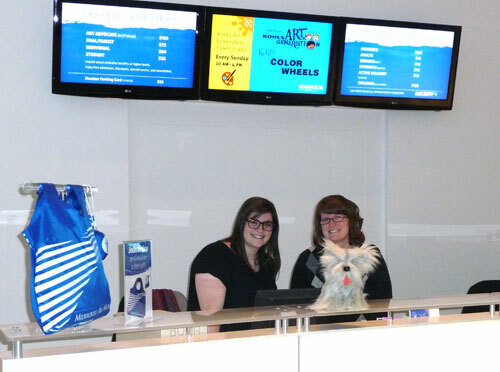 And PS: If you’ve got any photos of your Sunny’s visit to the Museum, please email them to us! We’d love to post them on the blog! This entry was posted in Art, Behind the Scenes, Education, Museum Store and tagged Alex Katz, Family Programs, Kids, Kohl's Art Generation, Museum Store, Sunny. Bookmark the permalink. 2 Responses to It’s Always a “Sunny” Day at the Museum! Jejejeje, I love that dog face!! It is a very good looking dog!